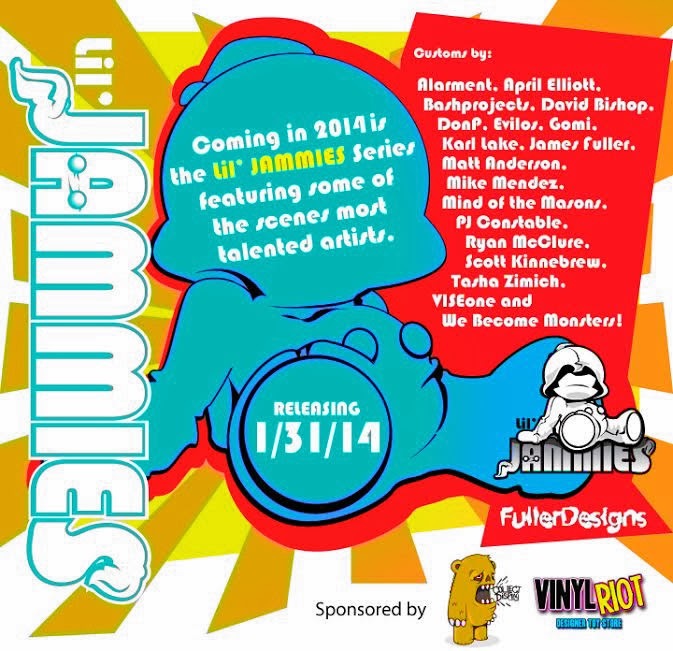 Fuller's Lil' Jammie Series first release! Stoney Maloney Da Ape by DonP is the first photo release from the Lil' Jammie Series. Stay tuned for more photo releases soon! One of the Designer Toy Awards' Toy of the Year, threeA's Metal Gear Solid Rex figure is up for silent auction until 4pm EST today. 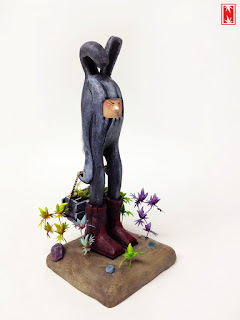 Those who would like to bid on this piece can send an email to DTA with your bid amount. If you're the winner, you'll be notified today. 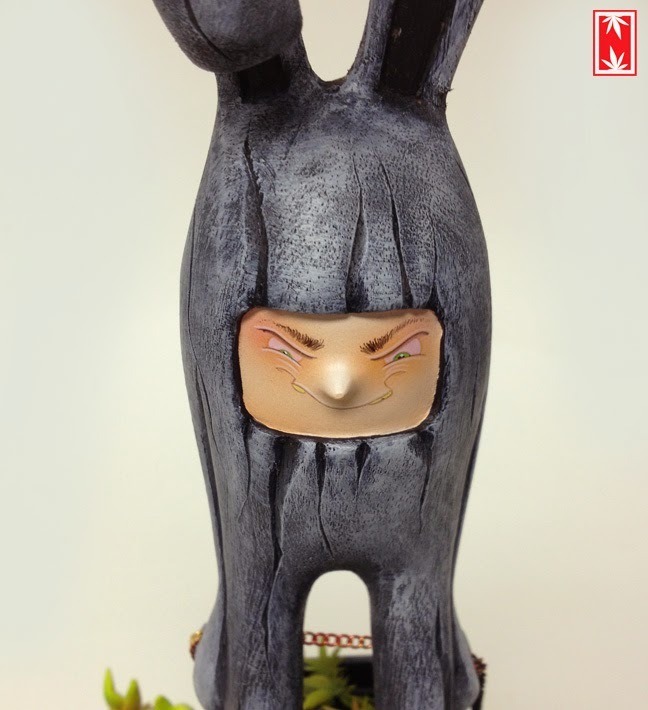 Not only is this rare, nearly two foot high figure hard to find, but the auction is for the Bambaland Store exclusive version that includes a pilot figure. 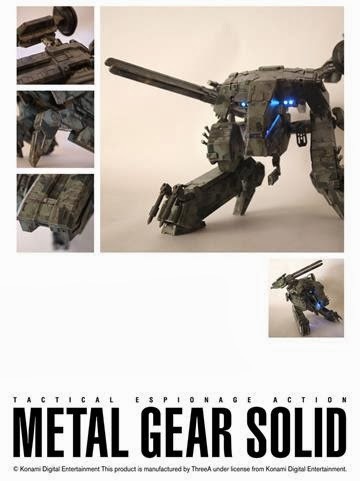 Get to bidding! Resin P.U.N.K.S. (Powerful Useful Nasty Kommando Scums) are here! 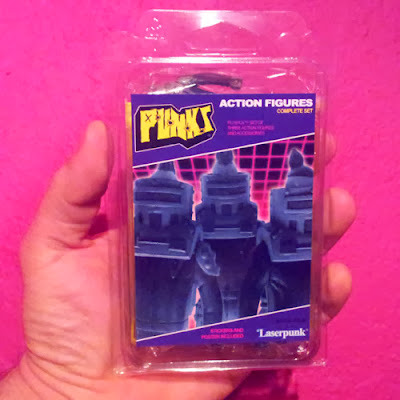 Laserpunk Toys from France has these great sets up for sale at both Storenvy and BigCartel. You get 3 fully-packaged hand-painted resin figures, along with accessories, stickers and a mini-print for only $39. The series is limited to 25 sets, and each figure is about 3 inches tall and sports 5 points of articulation. P.U.N.K.S. is a tribute to the Mask action figures made by Kenner in the 80's: truly my favourite toyline as a kid. 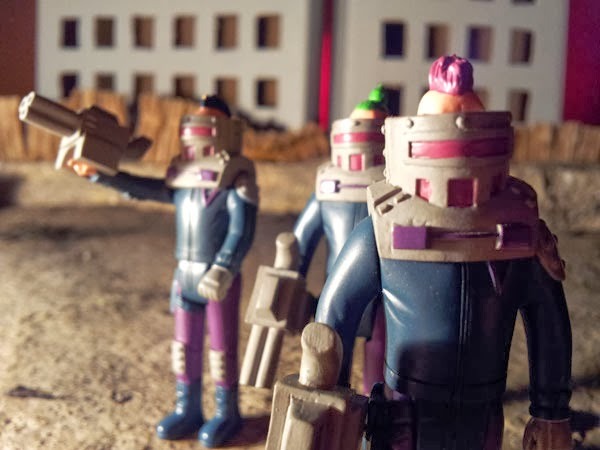 I wanted to create toys that match the size and style of this dead and gone collection, I even added fake knee articulations to make them fit with the appearance of the original action figures. 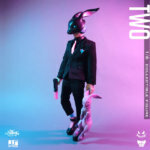 "The P.U.N.K.S. were 3 dumb, aggressive and twisted kids who lived in a shabby alley, drinking booze, terrorizing the neighborhood and trashing the area. One day a mysterious man came to grant them with mysterious "power helmets" and strange weapons. He told them "thou shall rule the streets" and these 3 a**holes became the most dangerous criminals in town, armed with the very weapons of chaos and destruction..."
There's even a great one-shot "Stupid Origins" comic over at the Laserpunk Toys site. 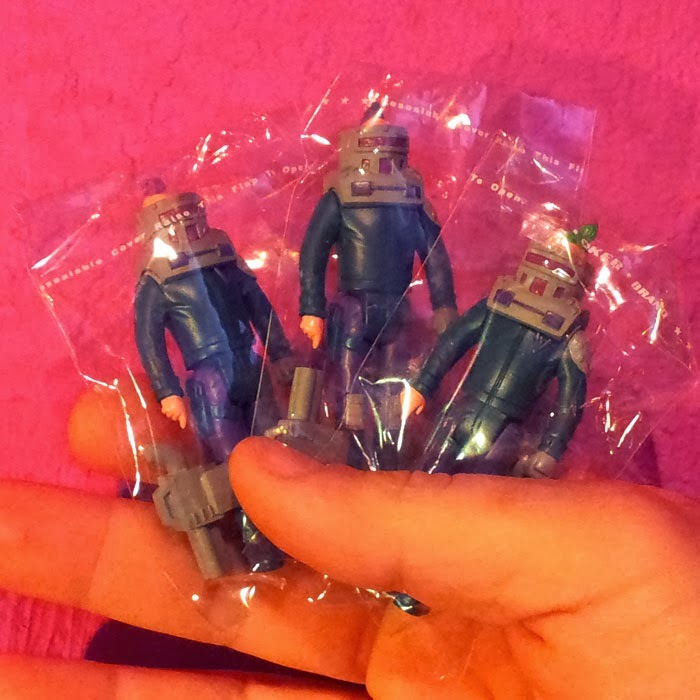 I'm digging the look of these guys and I'm sure a lot of other mini figure enthusiasts will as well, so be sure to go get your set before they're all gone! Mikie Graham of Zombie Monkie art recently showed off his insane custom 30" Demon Ranger for the Power Rangers 20th Anniversary show at Toy Art Gallery. "I did my best to keep the original shape of the iconic power ranger figure, tweaking the sculpt as little as possible… that being said, you may notice a few changes. First off I removed “the Great Gosei” mask from the Ranger’s belt, molded him, then added my resin cast Gosei masks to four key locations on my design. I chopped off the original face to sculpt in the new snake face (including 2 real teeth) then using the Ranger’s original face I mounted it to his back to create the bug looking demon that you can see from behind. Finally a few minor sculpted details transformed the Rangers feet into monsters of their own…. shoes that Gene Simmons himself would be envious of! The rest was all hand painted using the contours of the rangers body as my guide. 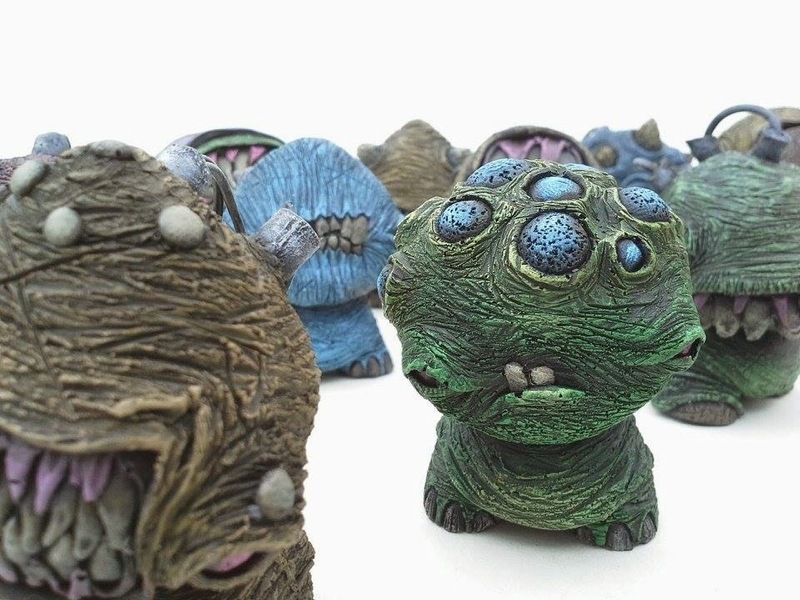 To finish him off I gave his massive cyclopean eyeball a good dose of gloss spray giving it that realistic wet look." 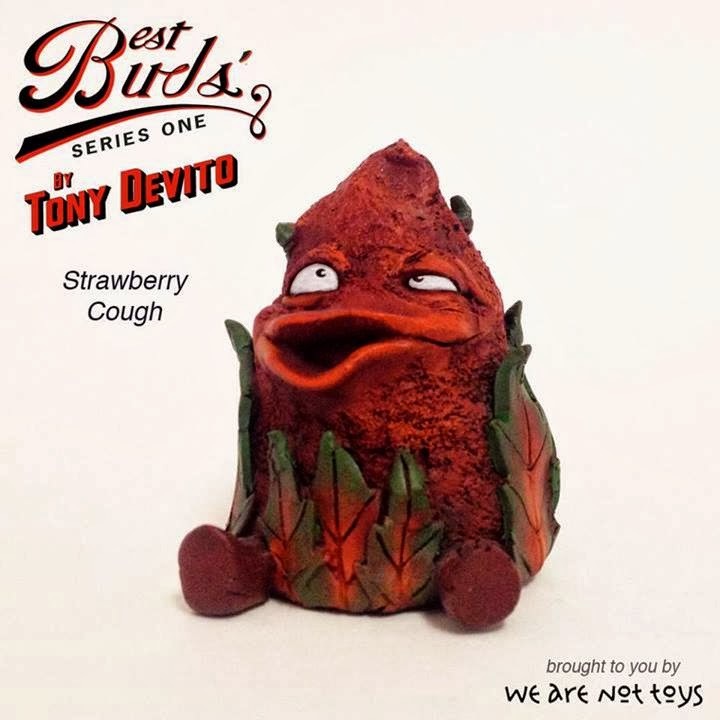 Tony Devito's Best Buds Series 1 - More Reveals and Pricing Information! Today we bring you three of the latest reveals in Best Buds Series 1! 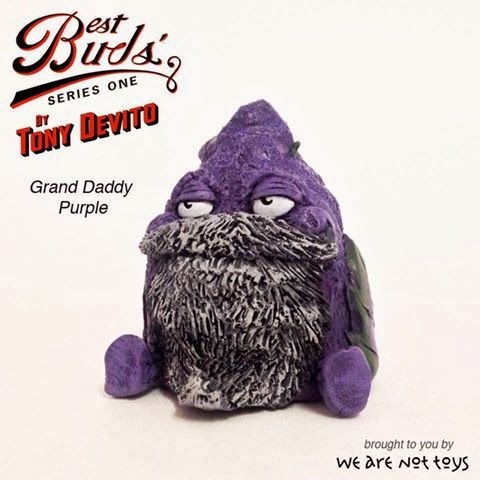 California Orange, Strawberry Cough & Grand Daddy Purple and all of their friends have been cast in resin and custom painted by Tony Devito and We Are Not Toys. These will be 29.99 each sold blind boxed or $420 for the set of 15 plus a mystery chase. 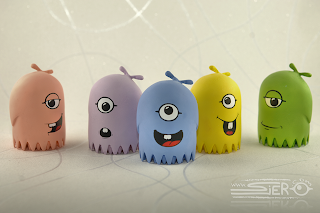 You can buy them all right here at Tenacious Toys on Sunday, December 15th! 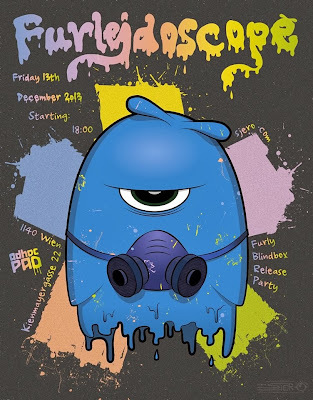 Artist Markus Sjero will be presenting his Furly figure and customs from Bas Petter, Dennis Bauser, Cash Cannon, DeeTen, Diogo Machado, MetaMephisto, Don P., FlawToys, Bill Hewitt, jFury, K.Omega, One-Eyed Girl, Mike Die, ReetNeet, Brent Swart, TaskOner, Tony DeVito, Topz Greenfull ToyDesign, ViseONE, deadLemming, Frau Isa, Sixxa, repet-X, Sarah Lumen Heine! 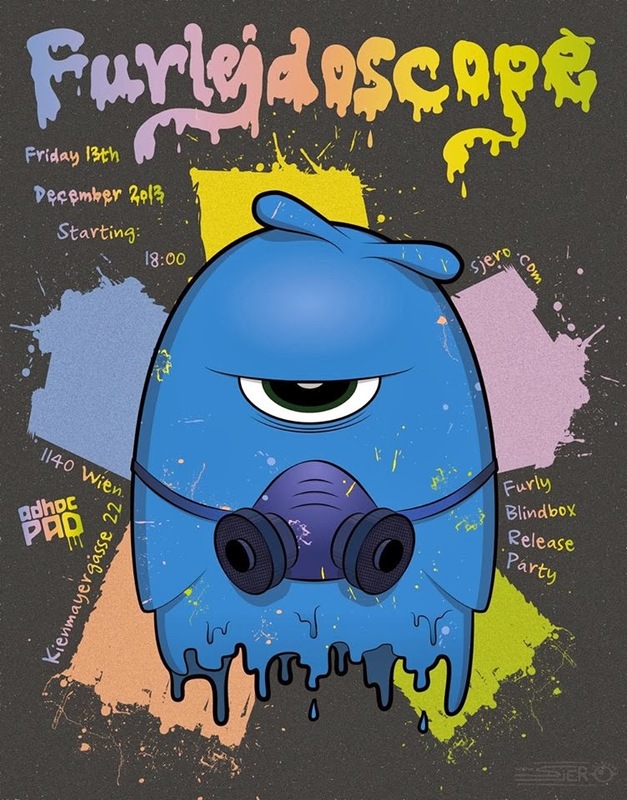 The show will be presented at the AdHocPad-Gallery in Austria on December 13th. 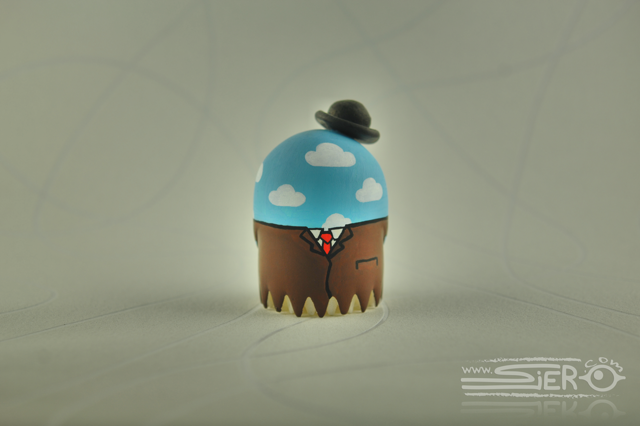 After the show they will launch the sale of the customized Furlys as blindboxes. And as a very special opportunity the Outland-Store in Amsterdam will sell exclusively 9 Colorway Furlys too. 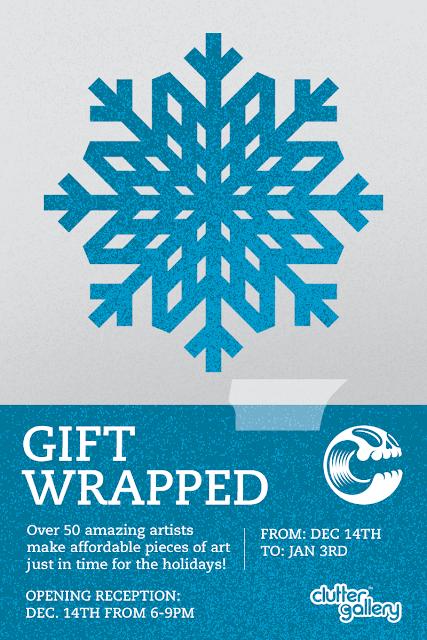 The Clutter Gallery is pleased to present "Gift Wrapped," a group exhibition of amazing artists creating affordable art just in time for the holidays… And the best part is, if you buy a piece at the opening, the you get to take it home that very night! All your seasonal gift giving can be acquired in one place… and, you never know, we might even have some spectacular wrapping paper on hand to make your purchase complete. "Gift Wrapped" will open on Saturday, December 14th, 2013 with a reception from 6-9PM and any unsold pieces will remain available until January 3rd, 2014 at The Clutter Gallery, 163 Main Street, Beacon. NY 12508. Sign up for the Gallery Preview List to get first chance at purchasing these stunnings works! 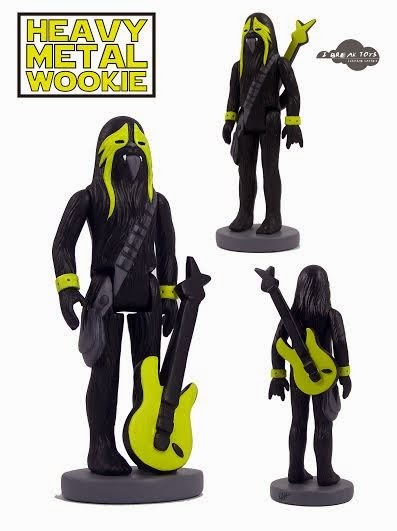 "Heavy Metal Wookie" is a one-off custom based on an original vintage Kenner Chewbacca figure. He stands 4.5 inches tall, includes a base and has a removable guitar which attaches to his back with magnets. 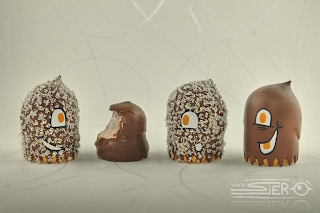 He was inspired by the eye sculpts I did on MegaSeth, which I thought would look really cool detailed into Chewbacca's hair. "Chewy has gone heavy...his new weapon of choice, an electric guitar!" 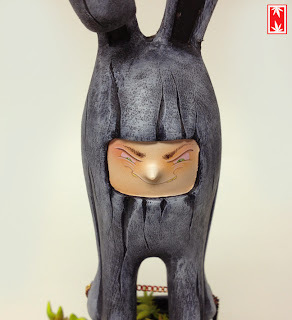 Heavy Metal Wookie will go up on Lisa's site, ibreaktoys.com, on Thursday 10pm GMT (5pm EST) for £35 plus shipping. Scribe decided to drop a bunch of stuff into his online store recently. 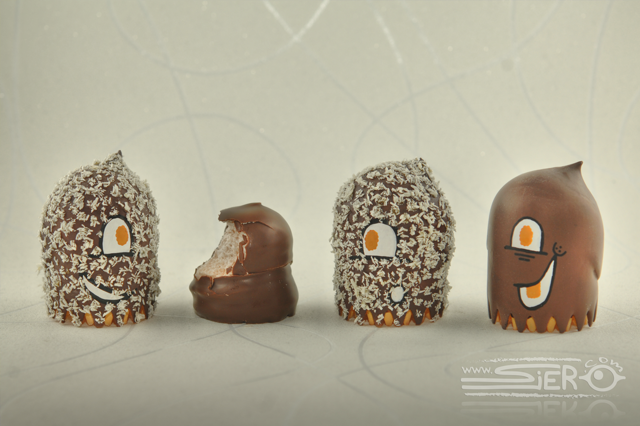 Most of the available pieces sold out within a few hours, but there are still a bunch of these blind boxed 2 packs of the Mini Temptation Cupcakes. Each pack sells for $22 plus shipping and includes 2 different Mini Temptation pieces. Each figure measures a little bigger than 1"x1" and come signed on the bottom. Those who were quick, may have been able to choose the colors they wanted, but it's not guaranteed. 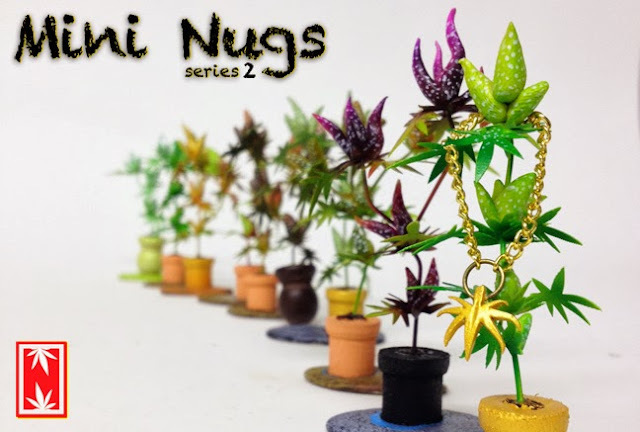 These will definitely make great stocking stuffers! 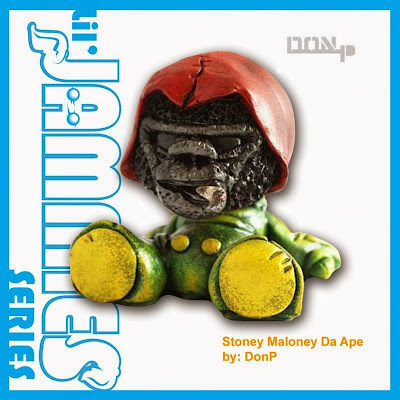 Scribe also has a few other custom pieces available on his store, so why not check it out and make a purchase. What originally started as a sculpture created by Kevin Gosselin, for the Frank Kozik tribute show, turned into a successfully funded Kickstarter to get Kevin's creation into full on production. 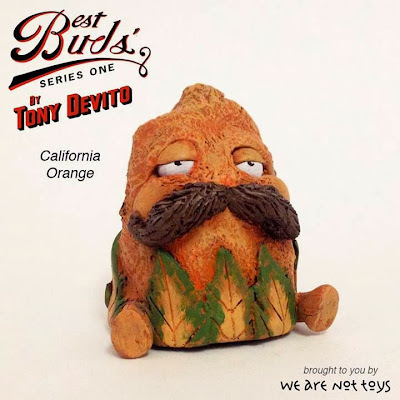 After many months of waiting, the production versions of the Dead Kozik busts are starting to show up at retailers doorsteps. 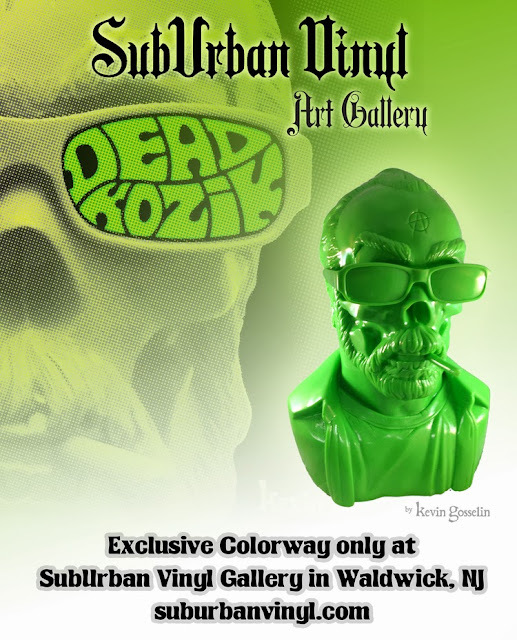 First up, is Suburban Vinyl, who recently received their shipment of exclusive Green Dead Kozik busts. 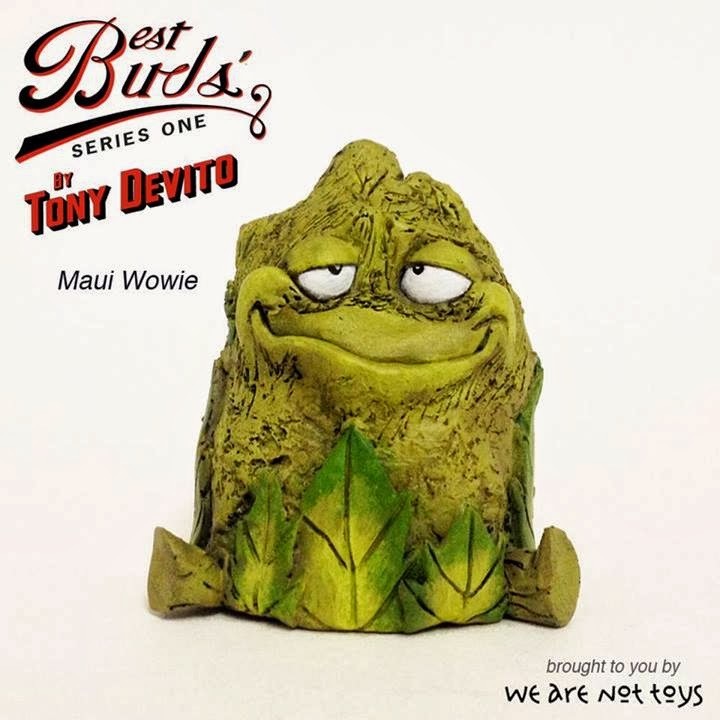 For those who maybe missed out on the original Kickstarter, can now buy the Green Dead Kozik bust and possibly have it in time for the holidays. Keep an eye out for more colorways in the future. 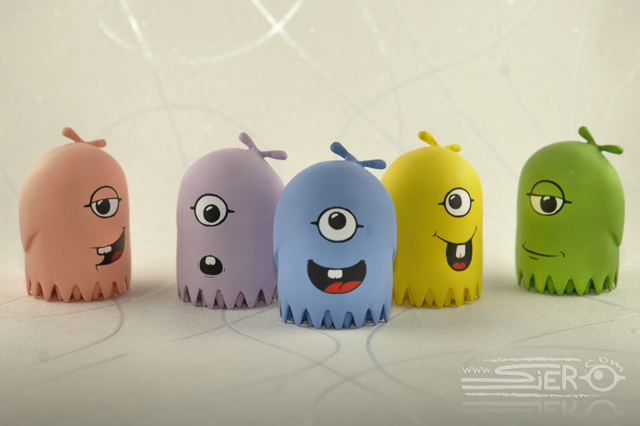 The best way to keep production costs down is to make multiple colorways of the same design. Presenting our latest exclusive figure (and our first MAD Toy Design exclusive! ): a Tenacious Blue colorway of the 18-inch tall Modern Hero Bank by MAD Toy Design. Limited to just 30 pieces, these giant rotocast vinyl figures retail for $150 each and are some of the most limited pieces available from Jeremy Madl. 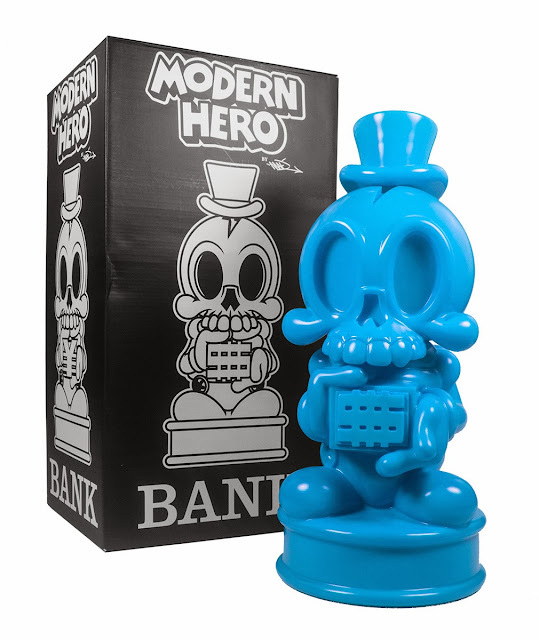 The Modern Hero Bank features include a removable top hat with a coin slot underneath, plus an articulated neck and a coin bank plug at the bottom. 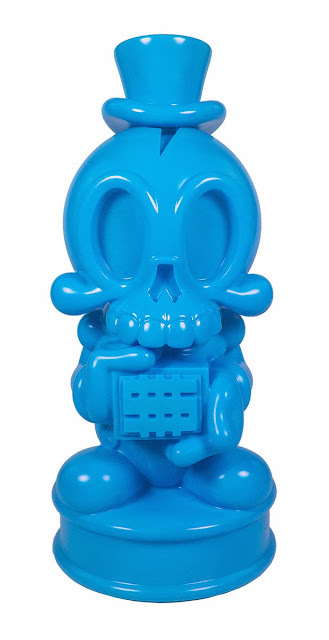 The Tenacious Blue colorway will be shipping in January, with preorders available here on our site. 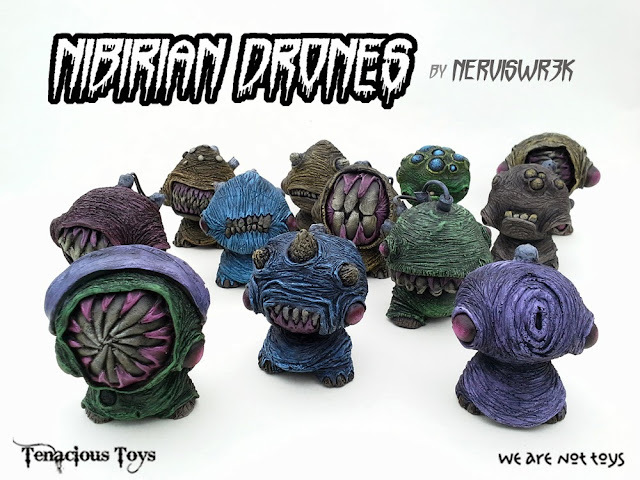 We are super stoked to be host the exclusive release of our friend Nerviswr3k's first full resin mini figure series he is calling the "Nibirian Drones." 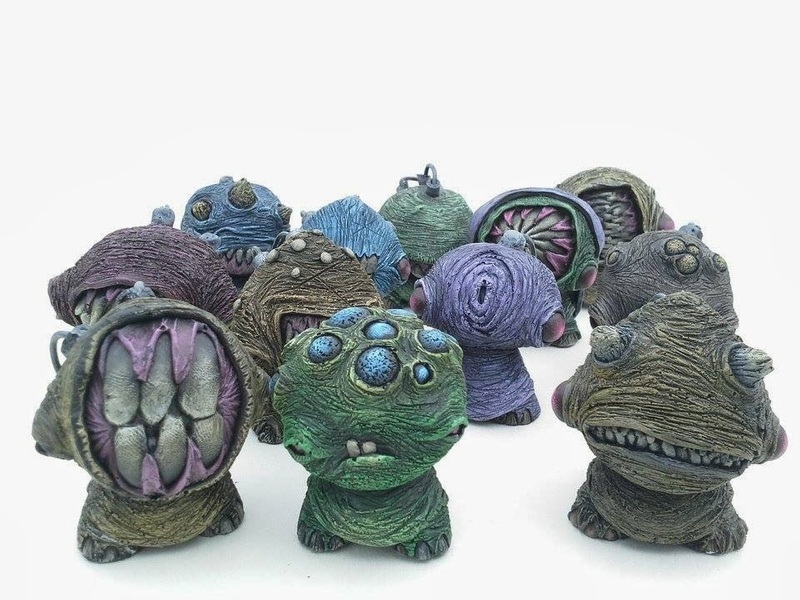 These amazingly detailed resin figures were cast by We Are Not Toys and will retail for $35 per blind box or $350 for the full set of 12 pieces. 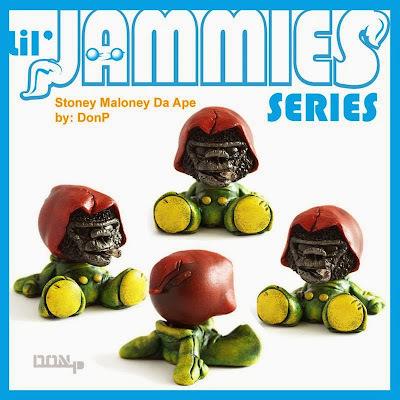 They go on sale tonight (December 8th) at 6PM EST on our Super Series Sundays page. 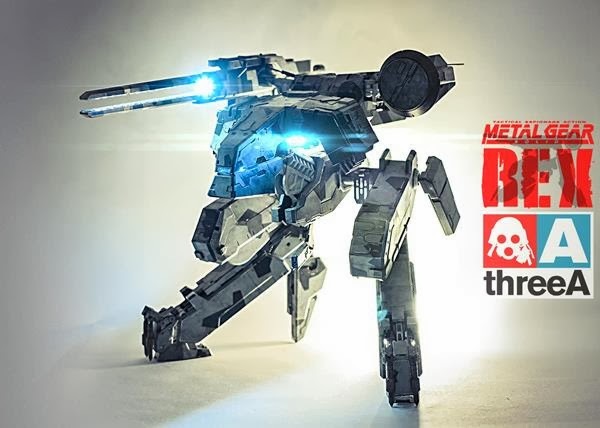 Do not miss this release- $35 is an insanely low price for a piece designed and hand-painted by Nerviswrek. Typical Nervis customs retail for $200-$600. 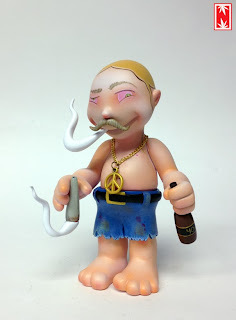 Even his 3" customs usually retail for $50-$75!